It has been a busy week so I am catching up on my Blog posts. I made this Art Journal layout last week with a super cute stamp and stencil set from Club Scrap titled “Nice to See you”. Being an eye glass wearer, I thought this was such a fun set to play with. The large stencil image of an Eye Chart was applied to the right side of the page with homemade texture paste while the stamp images were randomly placed over the page. 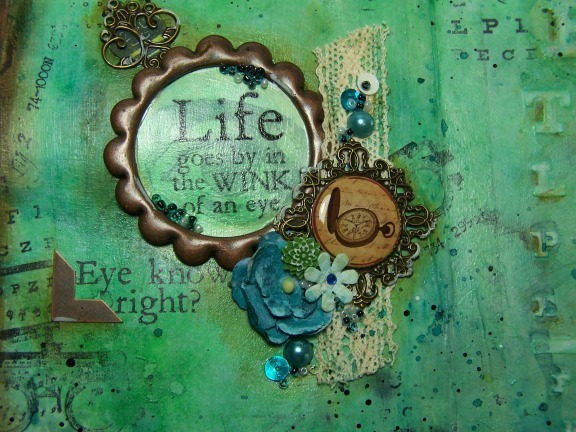 The focal image of the fun “wink of an eye” saying was highlighted with a Prima metal circle frame and other embellishments. 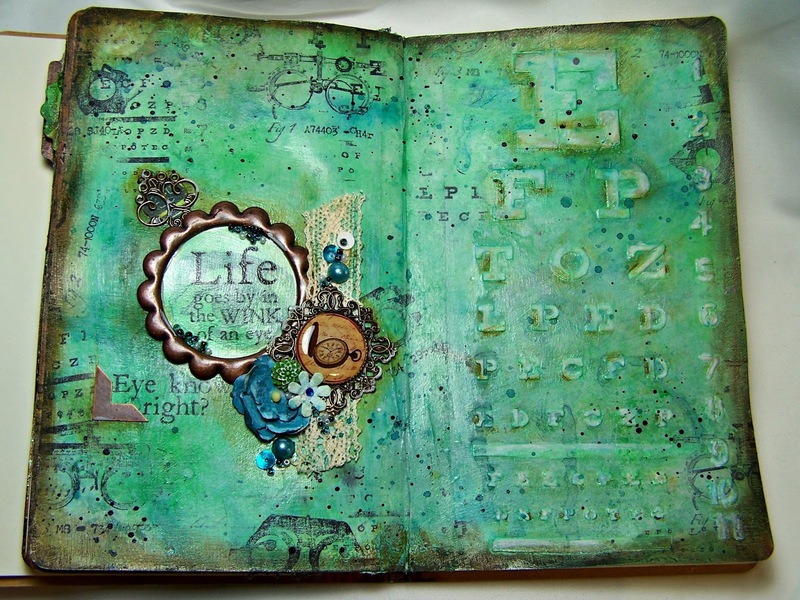 I continue to be impressed with this Dylusions Art Journal. The pages hold up so well to the paints and inks! This have been a very reliable substrate to work with. Hope this page offered you some creative inspiration!